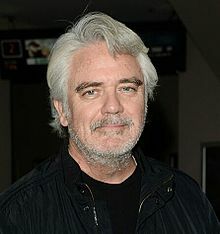 مایکل هارنی (اینگیلیسجه: Michael Harney) آمریکالی اوْیونچو. نیویورک ایالتینده دۆنیایا گؤز آچیب. 1992–گۆنوموز ایللر آراسیندا سینما ساحه‌سینده چالیشیب. 1992 Law & Order Detective Gullikson Episode: "Trust"
1994 L.A. Law Mr. Justin Episode: "Whose San Andreas Fault Is It, Anyway?" 1994 Law & Order Aaron Packard Episode: "Old Friends"
1994 The Cosby Mysteries Officer Mike Principe Episode: "Self Defense"
1995 The Great Defender Clark Episode: "Twelve Angry Men"
1995 New York News ن/م Episode: "A Question of Truth"
1995 Space: Above and Beyond Questioner Episode: "Eyes"
1996 The Burning Zone Mr. Davis Episode: "Night Flight"
1996 Viper ن/م Episode: "Diamond in the Rough"
1997 The Practice A.D.A. Walt Frazier Episode: "Trial and Error"
1997 The Pretender U.S. Marshal Bob Garrison Episode: "Unhappy Landings"
1997 Diagnosis Murder Kurt Vaughn Episode: "The Murder of Mark Sloan"
1997 Night Man Mr. Krueger Episode: "Pilot"
1997 Total Security Charlie Kiplinger Episode: "Pilot"
1997 The Visitor Warden Burke Episode: "Caged"
1998 Pensacola: Wings of Gold FBI Agent #1 Episode: "Game, Set and Match"
1998 Star Trek: Deep Space Nine Chadwick Episode: "Honor Among Thieves"
1998 Chicago Hope Chuck Lutsky Episode: "Deliverance"
1998 Vengeance Unlimited Officer Carl Witherspoon Episode: "Justice"
1998 Brimstone Det. Charlie Hirrsh Episode: "Pilot"
1998 Touched by an Angel Carl Episode: "An Angel on the Roof"
1999 Seven Days Pierce Nolland Episode: "Parkergeist"
1999 ER Mr. Stehly Episode: "Last Rites"
2000 Profiler Mike Caldare Episode: "Random Act"
2000 Walker, Texas Ranger Bart Slocum Episode: "The Bachelor Party"
2000 Buffy the Vampire Slayer Xander's Father Episode: "Restless"
2000 Bull Frank Durski Episode: "White Knight"
2000 Strong Medicine Edward Duke Episode: "Dependency"
2001 Nash Bridges Jerry Stevens Episode: "Bear Trap"
2001 Boston Public Mr. Pierce Episode: "Chapter Ten"
2001 The Fugitive Detective DeVries Episode: "Sea Change"
2001 The Invisible Man Malachi Royce Episode: "Father Figure"
2002 Crossing Jordan John Morrissey Episode: "One Twelve"
2003 Tremors Gene Fallon Episode: "Ghost Dance"
2003 The Division Bob Willets Episode: "Acts of Betrayal"
2004 Cold Case Charlie Rinzler Episode: "Volunteers"
2005 Without a Trace Detective Roberts Episode: "Lone Star"
2007 Lincoln Heights SWAT Commander Episode: "Spree"
2007 Smith Stu Binder Episode: "Seven"
2007 The Unit Crew Chief Episode: "M.P.s"
2007 K-Ville Burt Reynolds Episode: "Flood, Wind, and Fire"
2008 Criminal Minds Pat Mannan Episode: "3rd Life"
2008 Saving Grace Jerry Carver Episode: "It's Better When I Can See You"
2009 Numb3rs U.S. Marshal Episode: "Shadow Markets"
2009 Lie to Me Elliot Greene Episode: "Lack of Candor"
2010 NCIS: Los Angeles LAPD Detective Frank Scarli Episode: "Human Traffic"
2016 Chicago Med Dr. Ron Unger Episode: "Intervention"
2017 Lethal Weapon Mike Ramos Episode: "Unnecessary Roughness"
2017 Kevin (Probably) Saves the World Karl Gilmore Episode: "Listen Up"
بۇ صفحه‌‌ سوْن دفعه ‏۱۳ مارس ۲۰۱۹، ‏۱۴:۵۹ تاریخینده دَییشدیریلمیشدیر.